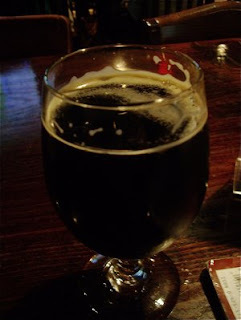 (Reviewed September 21st 2008) My feelings for John Harvard's Brew House go way back. I have been a regular guest there for over 20 years, and I always return for a meal, every time I am visiting Boston. 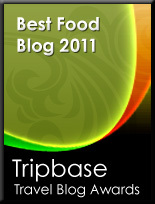 The restaurant provides atmosphere, good food and service in a charming area. 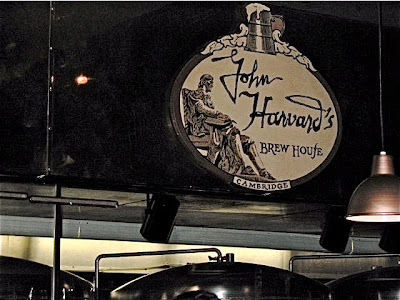 Since my first visit, John Harvard's Brew House have opened other brew houses at locations in Massachusetts, Rhode Island, New York and Connecticut. 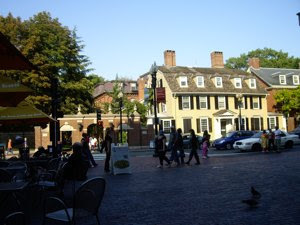 John Harvard's Brew House is located in Dunster street, a narrow passage at Harvard Square, It is a charming with shops, cafés and historical buildings. Here you are on the location of New Towne, one of the first settlement in the Boston Bay area. It is easy to get there. 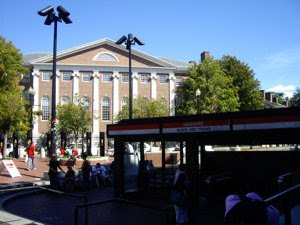 Take the red line from downtown Boston, direction Alewife and leave at Harvard Square. John Harvard's Brew House is just 5 minute away from the T.
You are waited by very nice and professional staff, and you do not have to wait very long to get your food. John Harvard's Brew House is located in a basement, a charming dark brown traditional pub interior. A brightly coloured light is filtered through stained glass windows. You are seated on rustic chairs by rustic wooden tables. There a generous space between the tables. If you are looking for white napkins, wine glasses on the tables you have to go elsewhere. You get what you need when you order. One definite favourite, when I am visiting the Eastern seaboard. 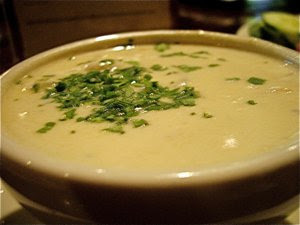 New England Clam Chowder is a soup that the first immigrants brought with them from the old world. Key ingredients are potatoes, onions, bacon, clams and good fish stock. At John Harvard's Brew House they serve a decent clam chowder, not the best I have tasted, but definitely worth the price. I chose the soup as one out of two appetizers. Creamy consistency, mild, creamy and smooth, served in a cup at $4,29 or in a bowl at $4,99. A fire work of a dish, at $7,29. A generous portion of chicken strips in a very pungent buffalo sauce. 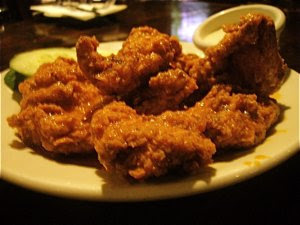 You do not have to get your fingers sticky as you, in greed, eat away on small buffalo wings. Here you get meat all through, easy to eat the proper way. You get much chicken as an appetizer, in fact equal to a normal European dinner serving, at least when you've had a cup of chowder to start. The amount of greens compared to meat is negligible, a few sticks of celery is more an alibi, than a contribution to a real meal. The tenders were tender, the celery gave the reassuring crunch, and the blue cheese had soft nuggets of blue cheese. But the tenders are delicious. Fire from chili, bitterness and sweetness - this really makes you sweat, but well balanced, and so much better than the tenders served other places. It could have had a little bit more sweetness. The celery gives more pungent tastes, but both tenders and celery is delicious in combination with the blue cheese dressing. Yum, yum!!! From one visit to another you can order different beer varieties, the whole range from wheat beer, ordinary blondes, to darker and over to black, to coffee coloured guinness type beer. I ordered a dark ale, sweet, rich and very refreshing. A charming basement brew house and restaurant with a decent kitchen. Try a few varieties of their home brewed beer, it is absolutely worth it. 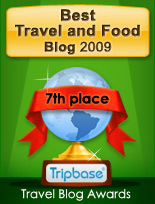 Smile to the camera - you're on Tastespotting! !